We have only just returned from our annual pilgrimage to Burgundy but the en primeur campaign is already looming large. Our visits in October and November were an absolute delight. Many vignerons were wearing broad smiles again and as well they might, this is clearly a vintage that will give enormous early drinking pleasure for both red and white. The whites show a very satisfying weight of fruit with some lively acidity bringing energy and clarity. The vintage doesn’t quite have the intensity and longevity of 2014 but in many ways the whites are just as tempting a proposition because they are so beautifully balanced and easily accessible. You will see for yourself at the tasting, many are rather hard to spit. 2017 is a fantastic vintage for highlighting the specific characteristics of village and vineyard. We found beautiful, classic styles of Puligny, Chassagne and Meursault that really shout of their origins. As the growers told us, the wines have an honesty about them and real pin-point accuracy delivering just what you would hope for from each different vineyard. The natural ‘zip’ of the vintage means that even the more solaire spots of the Côte have retained a very fine balance. There will be some excellent early drinking Chassagne to enjoy. Rully and Saint Aubin should offer superb value. Meursault and Puligny will need more time to come around but the wines, particularly the premier crus, show enormous potential and will give great pleasure. Don’t pass over our two new producers, Dureuil-Janthial and Joseph Colin, both of whom add an exciting dimension to our offer this year. The reds are delicious too. They are packed with bright, ripe, gourmand fruit and super-fine tannin. There may not be the signature acidity of 2016 or the structure of 2015, but the wines have a hugely appealing drinkability. Their natural charm left us grinning from ear to ear. Behind the flattering exterior is a vintage of great transparency, with each terroir and quality level very clearly defined. The top wines really are in another dimension, so this is definitely a vintage where the premium for the best sites is fully justified. Among the reds, there are some particularly delicious wines from Chambolle-Musigny at every level. Our three growers based in Morey-Saint-Denis – Perrot-Minot, Lignier-Michelot, and Stéphane Magnien – are all making outstanding wines in different styles and price points. It is a village that should not be overlooked. Of the grands crus, Clos Vougeot, Charmes and Richebourg consistently impressed. It’s hard to pick ‘winners’ but the tastings at Dugat-Py and Confuron-Cotetidot were simply outstanding. The wines seemed to be ever so slightly more accessible at this early stage. At the other end of the stylistic spectrum, we were really impressed with the delicacy and poise shown by the wines of Anne Gros and Stéphane Magnien. 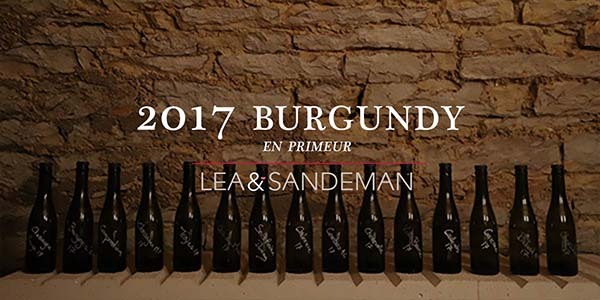 Perrot-Minot’s tasting proved once again that he belongs among Burgundy’s very top tier. In the Côte de Beaune, it was great to see Nicolas Rossignol’s cellar full again. His Volnay sets the standard. Finally, don’t overlook the Chalonnaise. François Lumpp produced some sensationally good Givry which really is one of the great bargains of Burgundy. While the headlines have been about bumper crops in 2017, not all the vines immediately bounced back from the frost of 2016 and judicious producers took the difficult decision to green harvest extensively. That means there isn’t actually an ocean of wine to go around – particularly for the top reds. Nevertheless, allocations should still be easier than last year. It is worth noting that the hugely promising 2018s may be hard to buy if you are not ‘in the queue’ to some extent with this vintage.